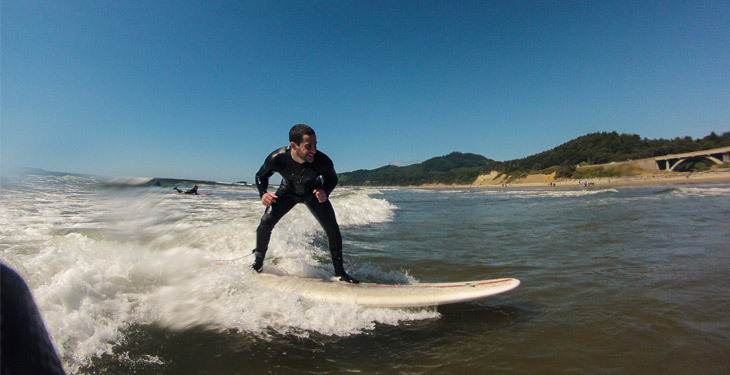 Surf the Oregon coast and enjoy local whiskey. * This sale ended, but let's see what we can do! Get 6 months to pay $375.00 with PayPal Credit! No payments + no interest if paid in full in 6 months. Whiskey and a campfire is the perfect way to relax on the Oregon Coast after a day in the waves. 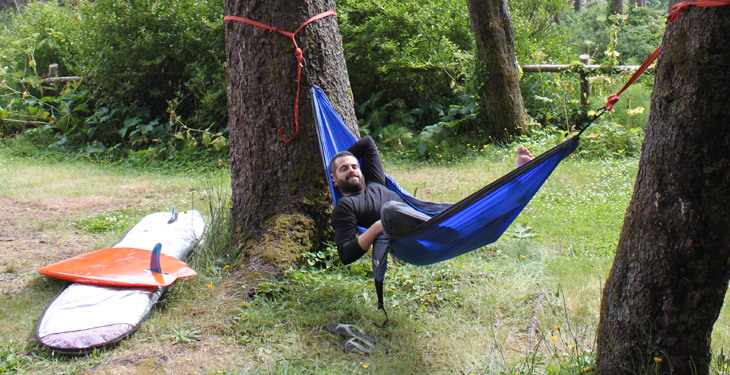 Take some time away from your day-to-day and join the Rare Earth Adventures team for 2 days on the coast. 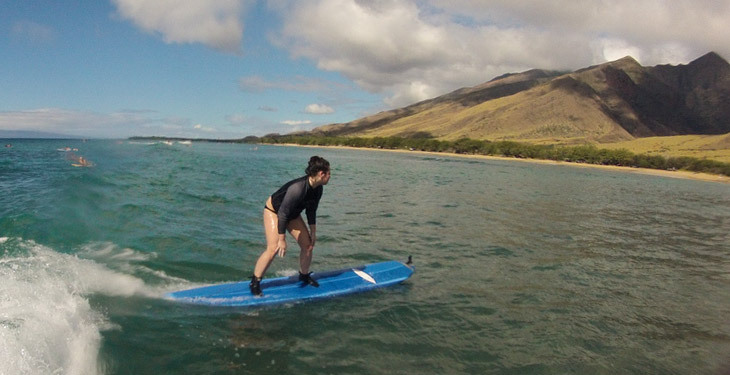 Learn to surf and improve your skills with two, four-hour surf lessons. Let Rare Earth Adventure's surfing experts teach you the techniques that will have you catching your first of many waves. Camp for the night at a local campground where guides will cook up a gourmet meal. Finish a great day of surfing with a well-earned glass of fantastic local whiskey. Spend the rest of the evening sitting by a fire on the beach to warm up after a day in the water. 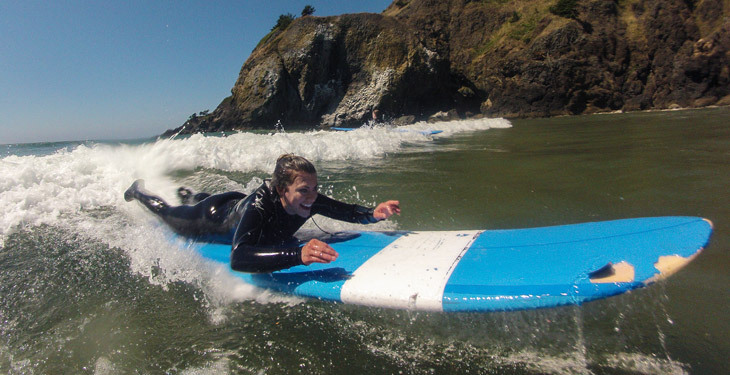 This trip includes transportation from Troutdale to Newport, surfboard and wetsuit rental, and lessons! Meet at the REA office in Troutdale and drive down the coast to Newport. After arranging wetsuit rentals, the group will head to the beach for the first surf lesson. 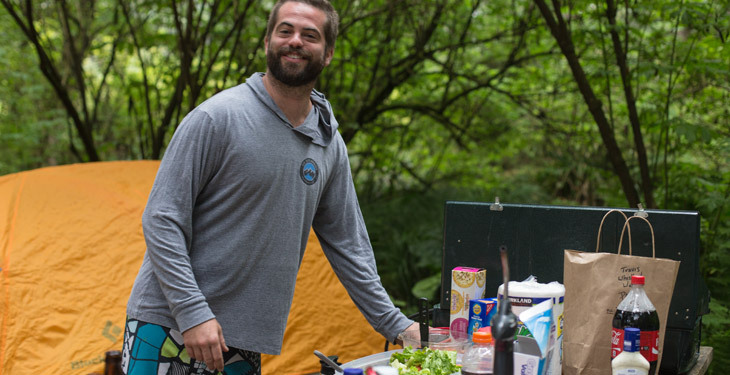 You'll spend 2-3 hours surfing before heading to the campground to set up tents, shower, and enjoy some local whiskey and a fresh cooked dinner prepared by your guide. Spend your evening at the beach around the campfire. Wake up to a delicious breakfast and coffee and fuel up for the next 4 hours in the water. Head back to the beach for a second surf lesson and guided practice. Afterwards, you'll return your rental gear and drive back to Troutdale, typically arriving in the late afternoon. 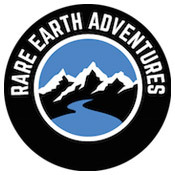 Rare Earth Adventures was formed in June 2006, and is owned and operated by two former USAF Survival-Evasion-Resistance-Escape (SERE) Specialists. They started REA to provide the best guide service in the Pacific Northwest, bringing the locals to the backcountry and removing the stigma that the backcountry is scary and difficult. Today Rare Earth Adventures has become a well known name in the Pacific Northwest for the level of quality and diverse trips that they offer. All of their guides are Wilderness First Responders, so safety will be at the forefront of your adventure. They are constantly in a state of improvement, always looking for the next great adventure. From surfing Oregon's beautiful coastline, snowshoeing with the family on Mt. Hood, or summiting some of the areas prominent peaks- every trip they offer includes not only an epic adventure, but the education to empower you to get out on your own! The Whiskey and Waves excursion was a blast from start to finish. Travis, our guide, was just an overall fun and easy-going guy. I especially appreciated his encouragement and one-on-one instruction whenever it was needed. I can't recall the name of the intern who accompanied us (sorry! ), but she was great as well and helped ensure things went as smoothly as possible. The other people in my group were all pretty awesome too (hilarious, interesting and laid-back). What a blast! Travis is a wonderful instructor and guide. He is out in the ocean the whole time giving you tips, while also cheering you on and getting genuinely excited when you catch a wave. We all know the surfing was a huge and AMAZING part of the trip, but having a great meal, smooth whiskey and a roaring bonfire on the beach with new friends rounded out this spectacular weekend. I highly recommend this trip and booking any adventure with Rare Earth Adventures! This was a wonderful experience. Everything was well planned but very flexible so that we didn't have to keep to a super strict schedule. The people were awesome, met a lot of new people who were very friendly. Travis was a great instructor and helped with the surfing a lot. He was also great around the campsite cooking, cleaning, and helping us set up tents. He was very fun to hangout with. I would definitely recommend this trip to anyone. Great combination of activities! This is my 3rd adventure with REA. I took several of my girlfriends for the all day rock climbing experience and returned again with my 3 teens. 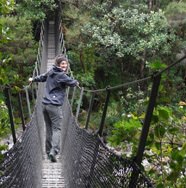 All excursions were with competent and very friendly guides who were informative and engaging. We were able to go along for the ride with equipment provided and step by step instruction to learn and enjoy an exciting new experience! This sale is no longer available. If you are interested in booking, you may still request a date below. Our travel experts will work with the operator to determine if any accommodations can be made. Get in touch with our travel experts and we'll do our best to accommodate your needs. Just enter your information and any special requests into the fields located on the right and we'll help you find an adventure that fits your schedule. The GearUp Travel team carefully evaluates each trip to ensure our standards are met around the world. We highly recommend travel insurance for all trips. Travel insurance allows you to seek reimbursement if you are forced to cancel your trip for unforeseeable reasons, or if you need to cover medical help, emergency transport, and/or theft or accidental damage while traveling. GearUp Travel has partnered with World Nomads to offer flexible, best-in-class insurance options tailored to your specific needs. Please note there is a minimum of 3 participants required for each trip to run. Please wait to make any travel arrangements until you have confirmation from Rare Earth Adventures. Are there any other conditions that may prevent this trip from running? Every effort will be made to make the trip run. In the event of severe weather the trip may be rescheduled. How do I get to Troutdale? Portland International Airport (PDX) is the closest airport and from there you can rent a car and drive to the REA office in Troutdale: 906 Corporate Drive, Troutdale OR 97060. You can safely park your car overnight at the office and REA can help with travel arrangements to the office if needed. Do you need to have any surfing experience? No! 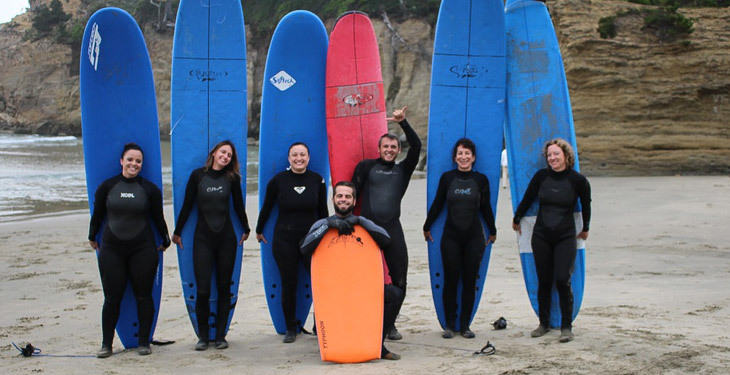 This trip is geared for beginner surfers, so no experience is necessary. You must know how to swim. How large is each travel group? Each group has a maximum of 8 participants, including guides. You'll be tent camping on the beach. Rare Earth will set up the tents and provide cookware and other camping essentials. Please bring your own sleeping bag, pad, and overnight essentials. Can solo travelers get their own tent? Is there a single supplement fee? Solo travelers are encouraged on this trip and there is no single supplement fee! Dinner will be a gourmet camping meal, either local fish or chicken and steak with veggies. Breakfast will be a hot breakfast with coffee and fruit. If you have any dietary restrictions, please let Rare Earth Adventures know upon booking. How much extra money should I bring? Plan to bring money for lunch on the way to the beach and on the way home, and for any gratuities. Can I bring my own whiskey? Bringing your own whiskey will be determined for each person by the operator. Upon booking, you may contact REA and request approval before bringing your own. Should I purchase travel insurance? If so, do you have a recommended provider? Can I cancel the trip? Book confidently with Free Cancellations within 72 hours of booking. After 72 hours, cancellation fees will apply. Cancellations are subject to the full discretion of Rare Earth Adventures. For more information on our Travel Cancellation Policy please Click Here.